The River Thames flows for 215 miles from its source at Thames Head in Gloucestershire to its mouth at the Thames Estuary where it enters the North Sea. It is slow and meandering for most of its length and can be crossed by over 100 bridges. 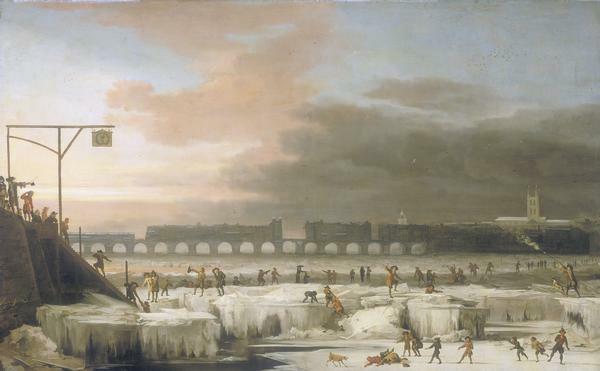 The Thames has been frozen over at various times, the earliest recorded occasion being AD 1150. In the 1800s, 'frost fairs' were even held on the river in London. There is a 23-ft (7-m) difference between low and high tide at London Bridge. To prevent flooding, the Thames Barrier was built across the river which is closed at exceptionally high tides.